Photo by Michael Kelly Marietta Police Officer Glen McClelland stands by his squad car, bearing a magnetized plaque with the name of police dog Diego on the door, preparing to drive for the Last Ride ceremony for his work partner and companion Friday morning. McClelland and Diego worked together for seven years, and Diego lived with the McClelland family in his retirement until his death March 23. Photo Provided An undated photo shows K-9 Diego of the Marietta Police Department. 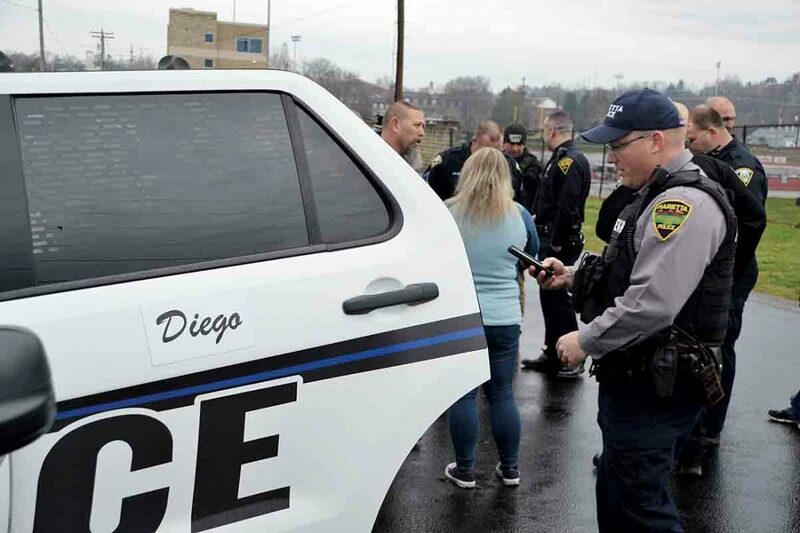 MARIETTA – The importance of the role that police dogs play in law enforcement was underscored Friday morning as the Marietta Police Department and several other agencies from around the region gathered to pay tribute to Diego, a police dog that served Marietta for nearly seven years. Diego was close to 2 years old when he started with the department in October 2007. He retired in early 2014, afflicted, as many large dogs are, with arthritis, after a career of helping to catch criminals and to find lost people. Diego died in late March, and on Friday received Last Ride honors, with a motorcade from Don Drumm Stadium to police headquarters. 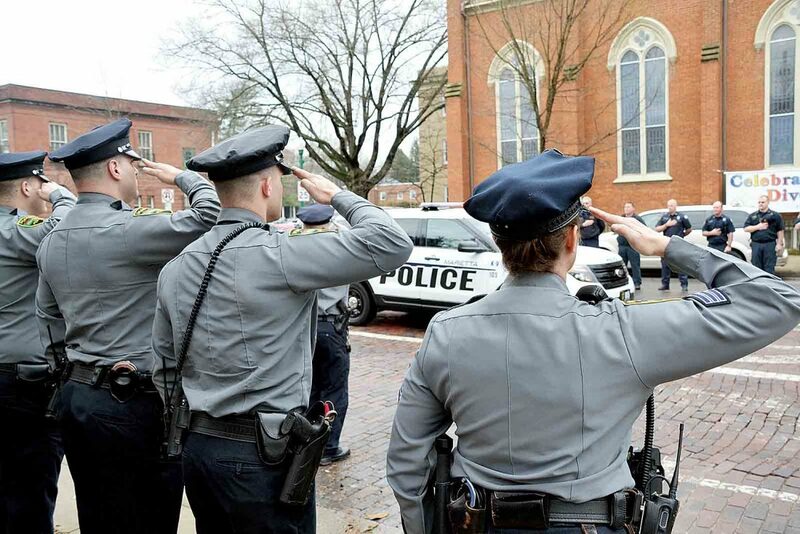 Putnam Street was lined with officers and firefighters who saluted as the vehicles filled both lanes in the block and the police radio announced End of Watch for him. Officer Glen McClelland was Diego’s handler and partner during his time with the force and became his companion in retirement. He remembered Diego as both an asset to his work and an ambassador for the police. 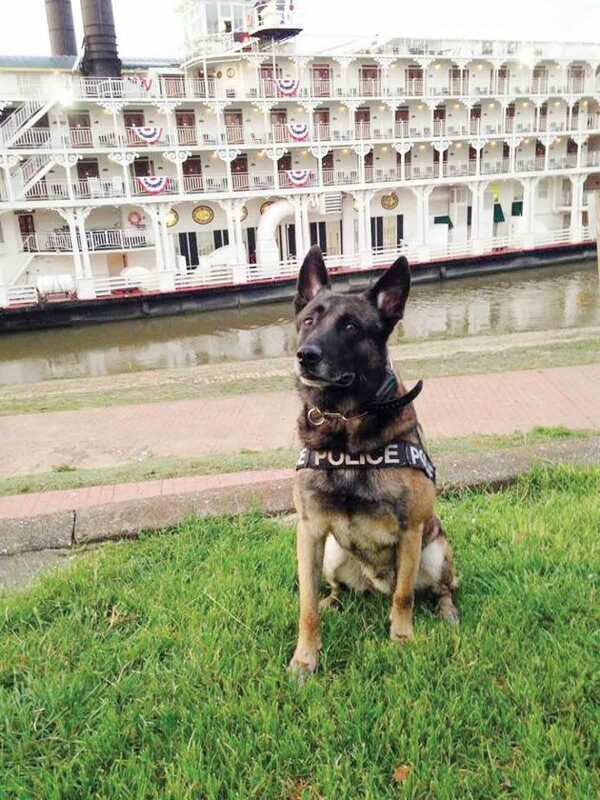 “He was a hard worker, doing tracking, searches, drug detection – 90 percent of a K-9’s work is with his nose – but he also loved being socialized, doing demonstrations for children and the public, like the ones we do during the sternwheel festival,” he said. Once he and Diego got acquainted, McClelland said, he would take the dog into the squad room with him at night to write reports. “He’d sleep under my desk while I did the paperwork, but he never slept in the car,” McClelland said. The two were together around the clock for seven years, and when Diego retired he took up full-time residence at the McClelland household. After Diego’s retirement, McClelland began working with his successor, Edo. “You develop a unique bond, every dog is different,” he said. Even so, Diego was something special. 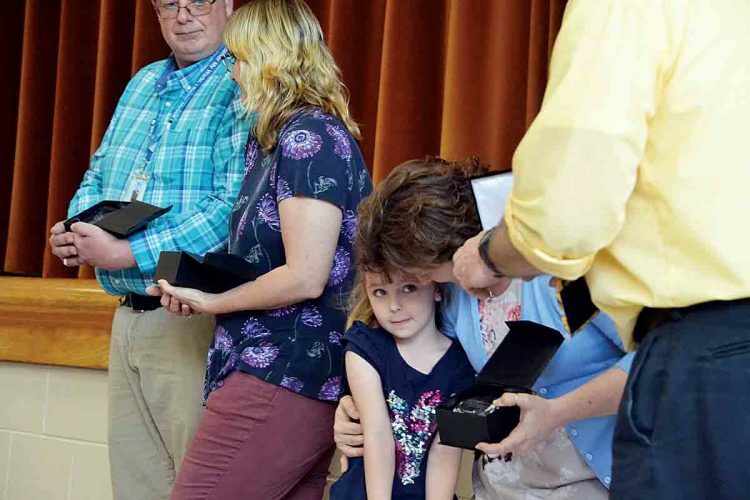 Toni Roach, a dispatcher at the department, is also licensed to officiate marriages and performed the honors at the ceremony in August 2012 when McClelland married his wife, Nicole. 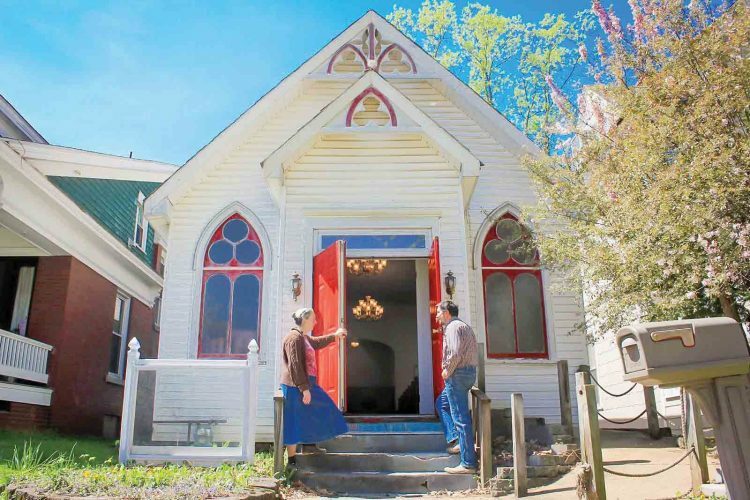 Nicole’s father had died, and to Glen’s surprise, Roach said, Diego walked his bride down the aisle. Roach recalls McClelland bringing Diego in at the end of a shift. “I had treats, and he knew where they were,” she said. The first — and last — time Roach decided to “take a bite” or have the experience of being taken down by a police dog, Diego was her instructor. She put the protective cast on her arm and got ready. “An officer came up and stood behind me, he said he was going to catch me,” Roach remembers. “I said I didn’t think that was necessary — Diego was only a couple feet away — but when he hit me I would have gone right over. McClelland said Diego died after suffering a paralyzing stroke in late March. He was 13 years old. Representatives of law enforcement agencies from around the region came to participate in the Last Ride ceremony. Diego’s name will be engraved on a plaque bearing the names of the department’s other K-9 members and their dates of service.